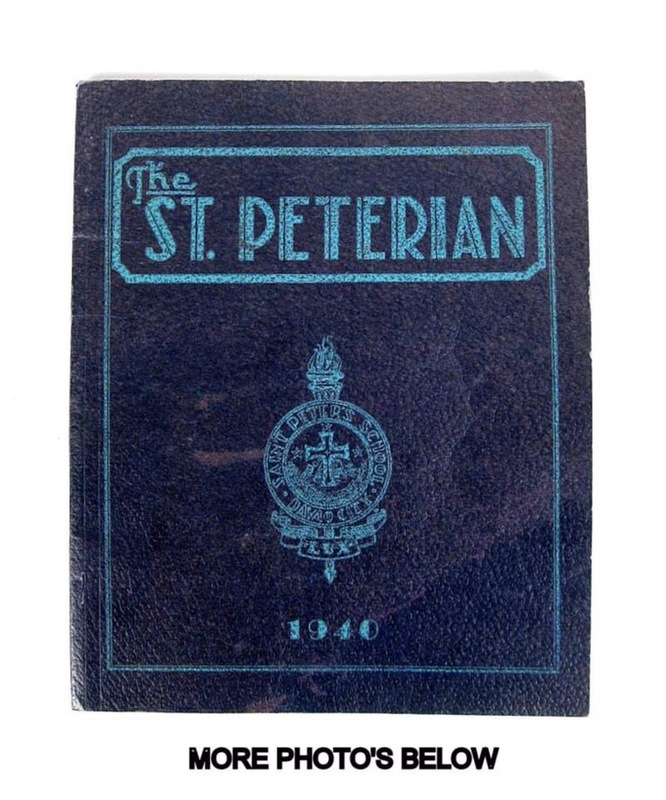 I was thinking this was the forerunner of the St. Peter’s College of Toril. 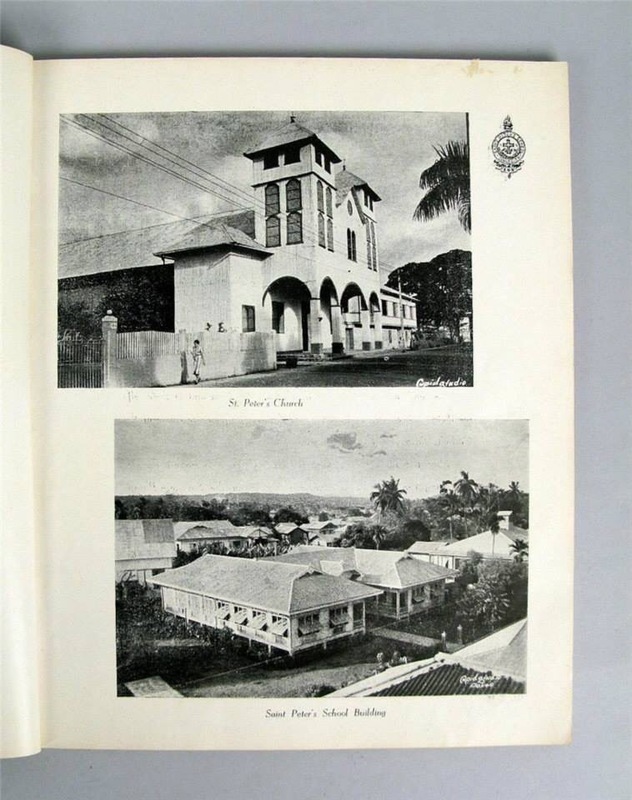 This school was previously located just beside the American Club and back of the San Pedro Convento and Church. I checked the wiki of SPCT, it started in 1948. 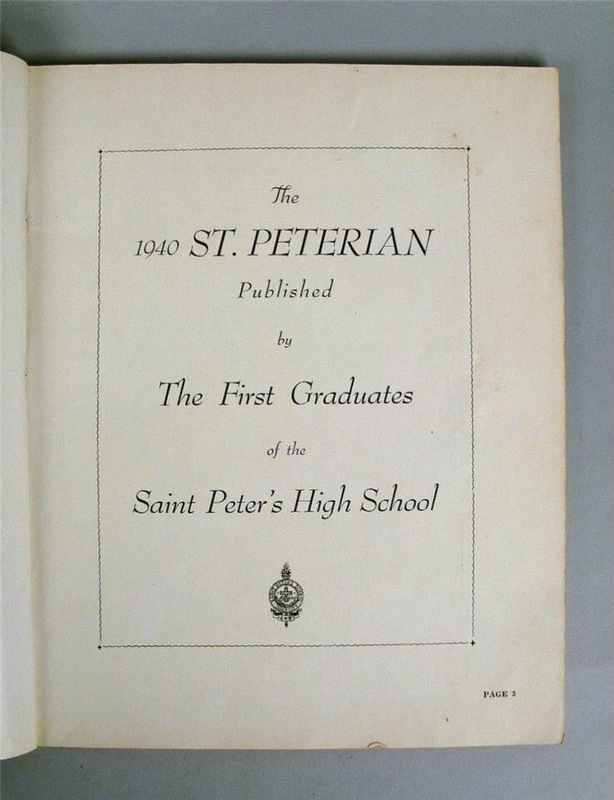 But this school if I am to base the 1940 yearbook which had its first graduates, then I am assuming it started in 1936. 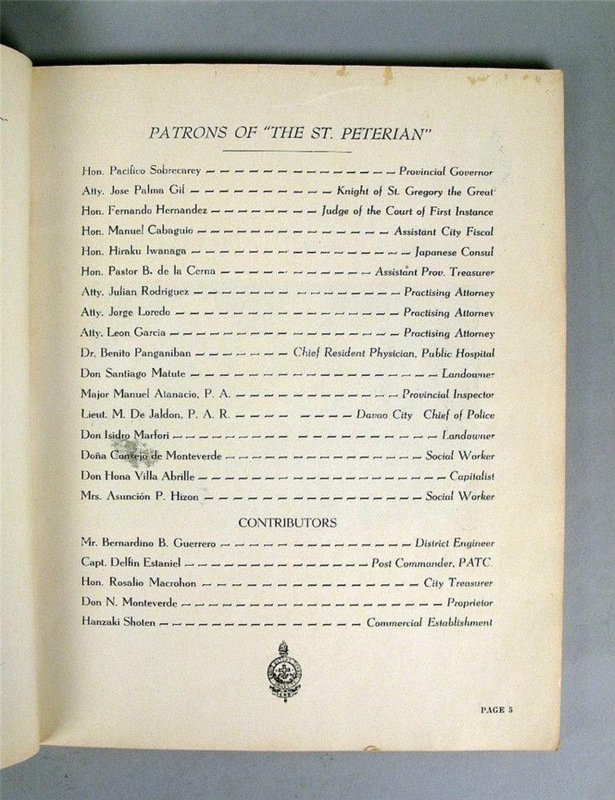 This is an excerpt from the wiki: The history of the St. Peter’s College of Toril dates back to July 1, 1948 when the PME (Pere des Mission Etrangeres) priest missionaries of the Foreign Mission of Quebec opened a Catholic School known as Saint Peter’s High School. If this was not which eventually became SPCT, what happened to it? The high school became what became Philtrust (please correct me on this as I have no clue as to the new name of the building if it did change hands or name). The Jesuits eventually took over this school, and it came to be known as Ateneo de Davao. From this site, they transferred to the 6-hectare lot in Matina which they acquired from the Villa Abrille family. The St. Peter school in Toril is different, as it was and is still run by the PM sisters. The Philtrust building is the former site of the Immaculate Conception College, now the UIC. I am not sure but I think the Archdiocese of Davao owns it.